The Art of Animation Resort is in the Value Resort category, so it is a bit more affordable than some of the other resorts. The awesome thing about this resort are the suite options. If you are travelling with a large party, you can get suites that have 2 bathrooms and multiple bedrooms and bedding areas. They also have a kitchenette in them to help larger groups with preparing meals and saving on meal costs. This makes them very similar to DVC rooms in that regard. 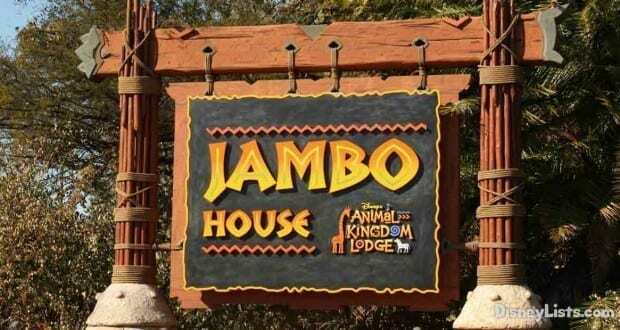 The rooms are also perfectly themed around movies like The Lion King, The Little Mermaid, Cars and Finding Nemo. We love these adorable rooms and the awesome theming around the entire resort. It is also very convenient when traveling with the whole family! There is just something about experiencing the wilderness in the heart of Walt Disney World that is soothing and relaxing. Disney went all out to create an area that was relaxing and has tons of recreation activities for guests to enjoy while they are staying there and to get a break from the hustle and bustle of the parks. You can go on a wagon ride, horseback riding, bike riding, a boat ride and more. It is a lot of fun for the whole family so you can get the full experience. 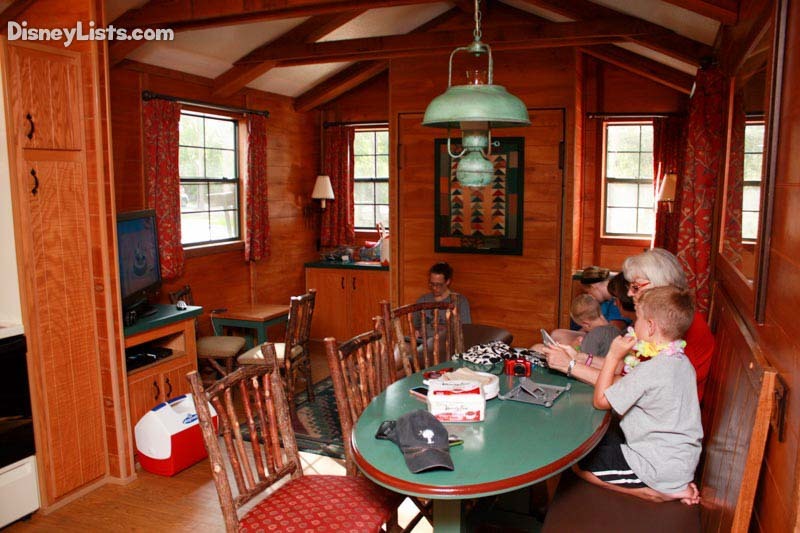 We love to stay at the cabins, since we aren’t typically tent campers and the cabins have everything you need. You get a grill, your own kitchen and a bit more space than you would have in a normal guest room at most of the resorts. This is hands down my favorite resort at Christmastime. I am a diehard Christmas fanatic and I feel like this resort has the perfect theming and rustic appeal that makes Christmas perfect there. There are fireplaces with rocking chairs and once the Christmas decorations and trees are put out, it is a picture of perfection. Even if you aren’t staying there for Christmas, it is a beautiful resort that gives you all of the deluxe accommodations in a more relaxed, rustic environment. You are also in close proximity to Fort Wilderness so you can still enjoy all of the recreational activities there, too, which gives you the best of both worlds. This resort is in the Moderate Resort category, and it is definitely our favorite one in the category. We love the perfect New Orleans theming for the resort and the beauty of the French Quarter. The sister resort Port Orleans Riverside is also amazing, but we give the nod to Port Orleans French Quarter based on the look and feel overall for the grounds. It is completely gorgeous and you still have access to all of the amenities, pools and restaurants at both resorts, so you get two resorts in one. You also have a boat launch to take you to Disney Springs, which is extremely helpful and great way to see more of the grounds. Don’t forget to try the beignets while you are there! As the most expensive and grand resort in all of Walt Disney World, it has to make the list! When we want a stay that is full of pampering and elegance, this is the resort that we pick! There is something just extremely classy about staying here and you have close access to everything! There are tons of great resort activities and events, restaurants and the spa! Each day the Cinderella’s Royal Promenade takes place where kids can meet and dance with Cinderella and Prince Charming. There are also tea parties and other events that you can enjoy only at the Grand Floridian. It is only resort to offer a nightly turn down service for every single guest room and not just the club level guests, giving an extra level of service at the resort. You definitely want to stay here at least once! The animal encounters and experiences at this resort are hard to beat. There are so many different activities for resort guests to enjoy from animal sightings, stories and folklore, music, food tasting, night viewings, etc. There is a long list of daily and weekly activities that the guests can enjoy and you won’t want to miss any of them. We used to stay at this resort pretty regularly, and we always tried to plan at least one day of the trip to hang around the resort to experience the activities and the beautiful pool. 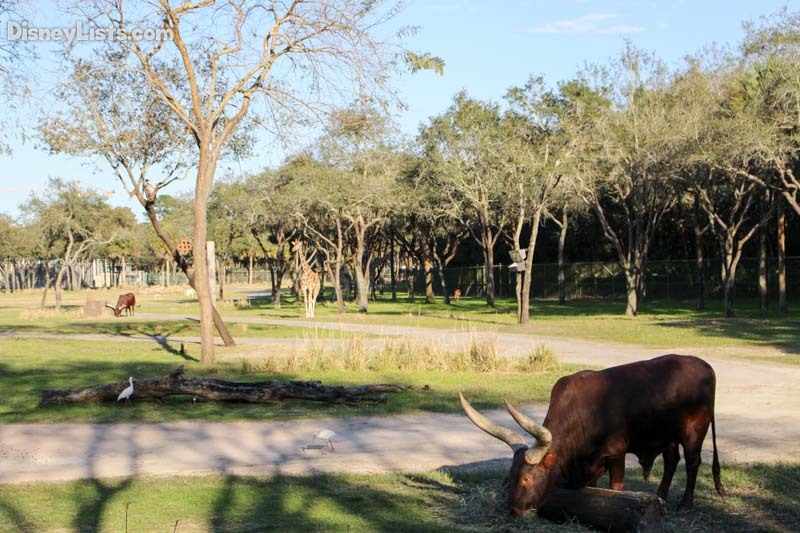 If you have the opportunity to stay in a Savanna-view room, it is even better! You can sit on your balcony while you are drinking your coffee and enjoy all the animals! It is one of the most amazing experiences. This resort is beautiful, luxurious and is almost like it is a waterpark, too! The pool area is the most phenomenal pool area on property, with its own lazy river, water play area, beautiful pools and more. The resort also has tons of amazing restaurants and is in close proximity via boat ride or walking to Disney’s Boardwalk, Disney’s Hollywood Studios and Epcot. The proximity to all of these locations can’t be beat, and you can even see fireworks from areas of the resort, too! You get some of the best parts of the entire Disney experience right from this resort. This is our absolute favorite resort in all of Walt Disney World, and is our most desired resort, depending on when we are traveling. The resort is gorgeous, extremely close to the Magic Kingdom and the Epcot monorail and has amazing dining and activities. You can take hula lessons for free at the resort, and you can enjoy the zero-entry pool with the volcano slide where you can see Cinderella’s Castle in the background. You can see the Electrical Water Pageant and the fireworks from Magic Kingdom from the resort, and even from many of the rooms. The theme is a theme of tropical paradise, and we can’t get enough of it! You are going to love this one!